The musical roots of Aerosmith, Simon & Garfunkel, Dropkick Murphys, 50 Cent. Presentations should be 15-20 minutes in length and lively in nature! The deadline for the submission of a 200-word abstract is May 1, 2016. Individual and full panel proposals are considered. Submission information is available at theNortheast Popular Culture Association conference page. 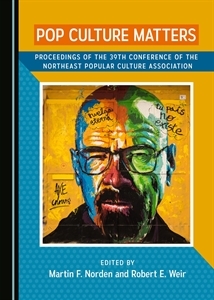 Feel free to contact c4tuna31@gmail.com for more information about the Northeast Studies Area of the Northeast Popular Culture Association.